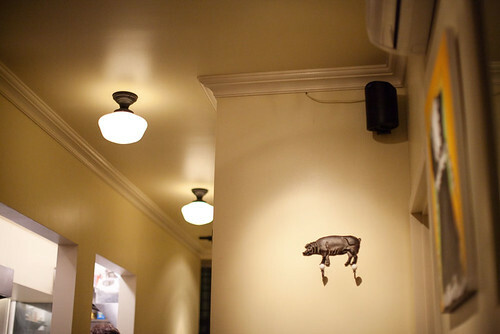 I read couple weeks ago on Carroll Gardens Patch that there is a burger boom in my neighborhood. It does seem weird to have 4-5 new burger joints opening around the same time though only time will tell if any of these places last. Now, I do get asked a lot about what’s my favorite burger. I usually have no answer for them. 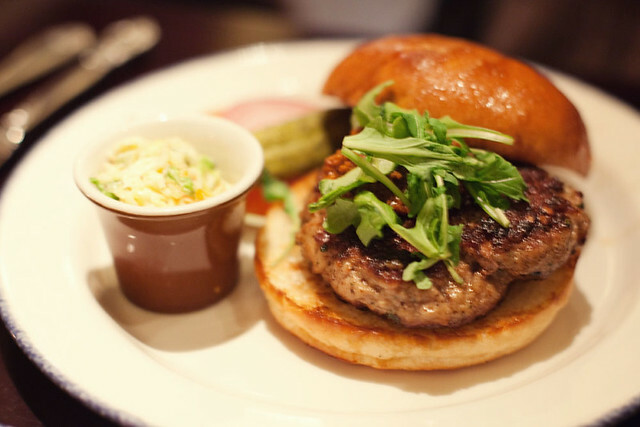 I simply do not have one or….I don’t really pay attention to what’s the best burger. I know where to get tasty burgers and where not to go. Also I tend to go to places I’ve been before so there are so many burgers I haven’t tried. Back to the article from Patch. 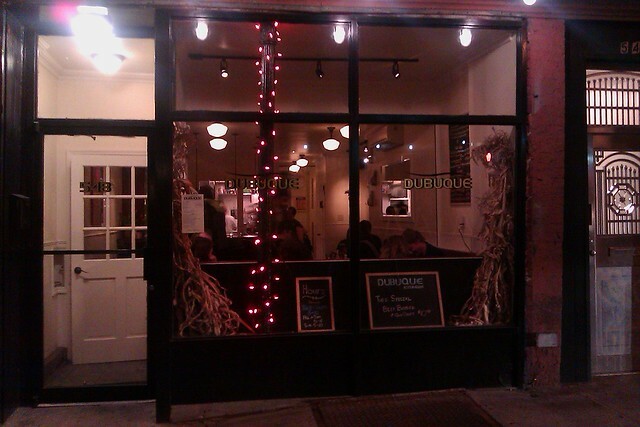 From there I found that there is a new burger place on Court St close to 9th St called Dubuque (Down Under the Brooklyn Queens Expressway). I didn’t think much about the place at first until people started to tell me how awesome the burgers were. So last week I went with Scott and Steph to check the place out. 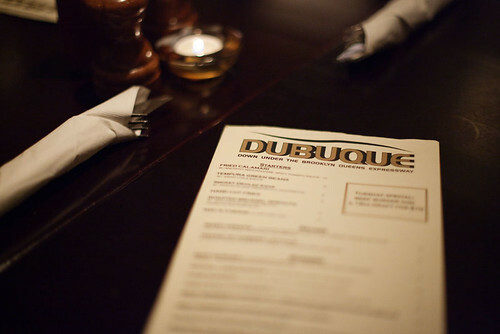 The interior of Dubuque was very much the standard “Brooklyn” look, dark wood, a little classy and they even have their own hipster-y waiter that wore a flannel buttoned down shirt. Anyways, on to the burgers! 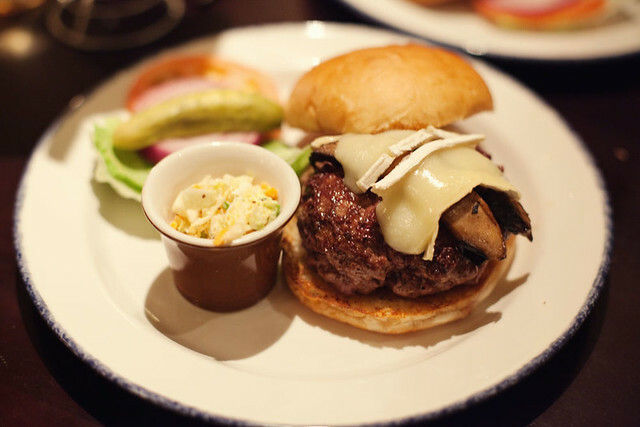 I ordered the “Beef Burger Stuffed With Truffled Mushroom Duxelle with grilled marinated portobella mushrooms and brie”. I have nothing to say but it was just fantastic! Juicy and perfectly medium rare. I was tempted to order another one. 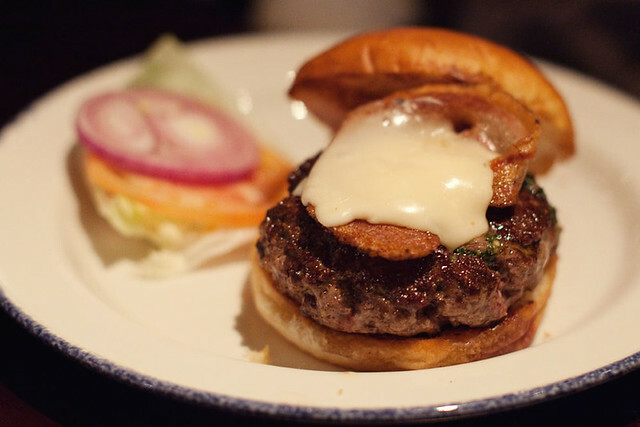 Scott totally fell in love with his “Beef Burger Stuffed With Basil Pesto with grilled pancetta and taleggio cheese” and boldly said it was one of the best burgers he had ever had. While not as enthusiastic as Scott, Steph really enjoyed her “Pork Burger with chorizo, arugula and romesco sauce”. She said the chorizo actually had some heat in it. But sadly it was a different story for the sides we ordered. For $6 we got a really small plate of mac n cheese, it was good but I wanted more. The fries ($3) were pretty standard stuff. I had also spotted their brussel sprouts and for $6 it looked small also. 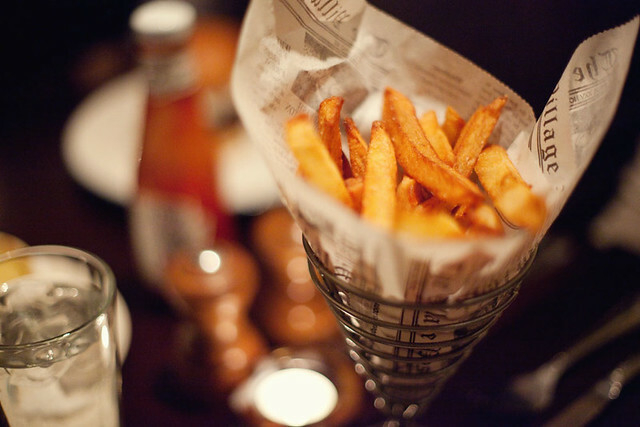 So…..next time I’ll just stick with the fries.